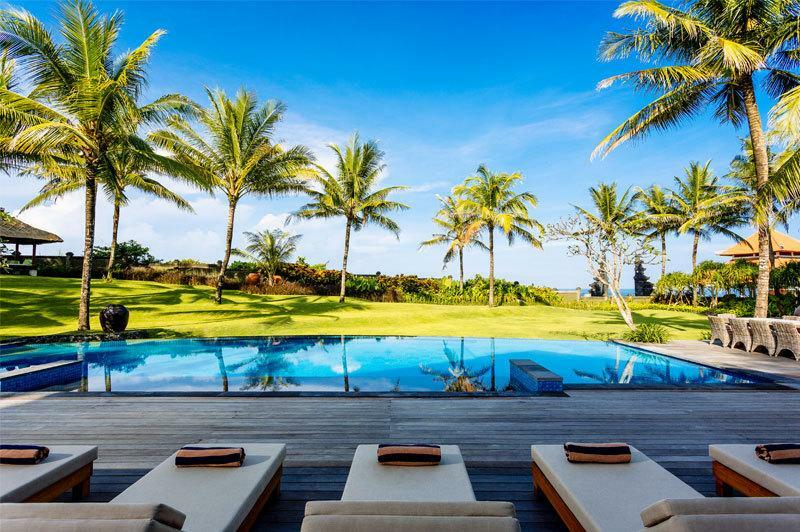 Overlooking a magical sea temple and the dramatic black sands of Cemagi Beach, Villa Semarapura offers a one-of-a-kind holiday experience on Bali’s sunset coast. 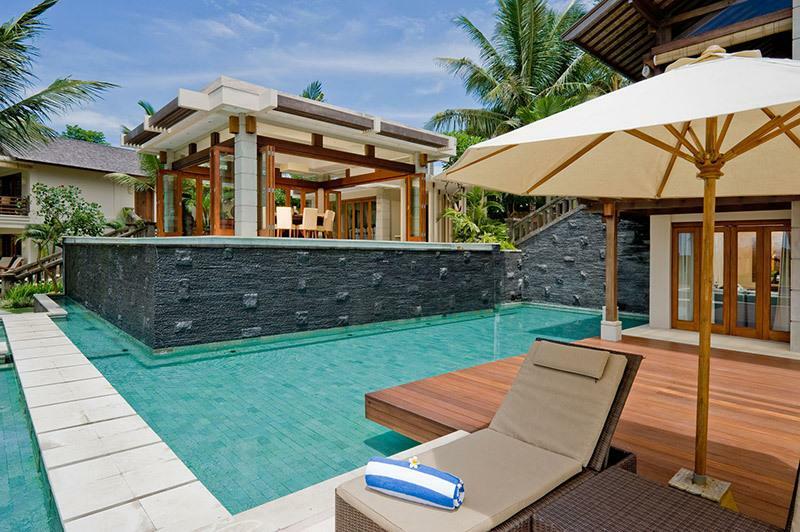 This beautifully designed villa features five luxurious bedroom suites and a wide choice of living, dining and entertainment areas. 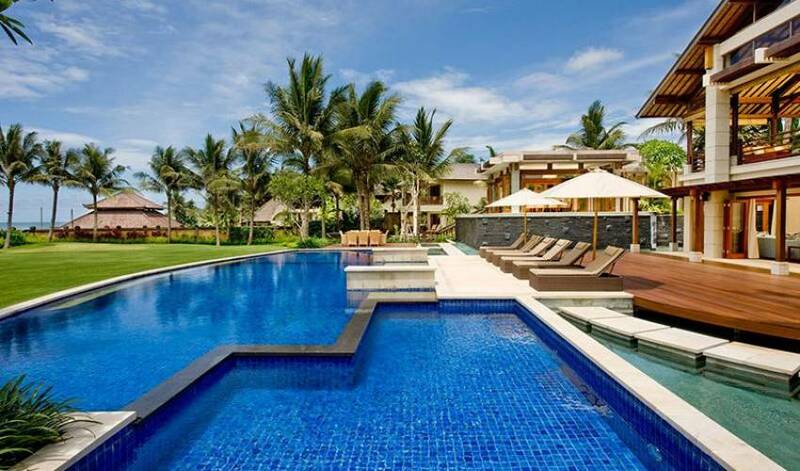 Sip an ice-cold beer at the poolside bar, relax with a massage, or enjoy cocktails in the sunset balé as the sun slips below the horizon. Despite its delightful away-from-it-all setting. 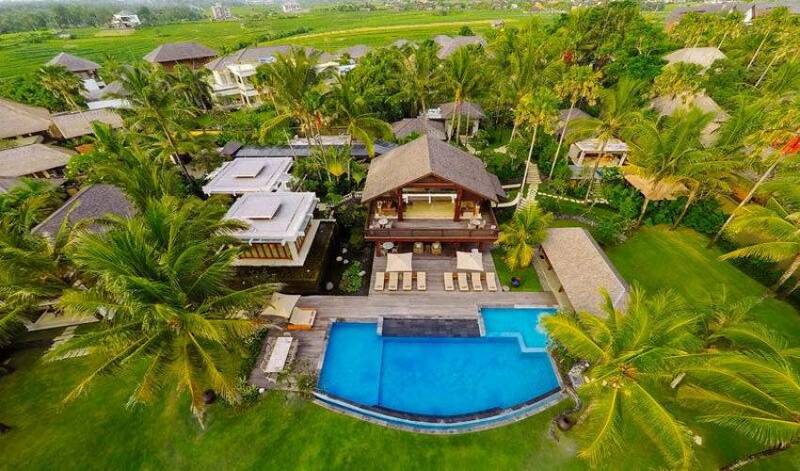 The villa is within easy reach of the award-winning Nirwana Bali golf course and resort facilities at Tanah Lot, and only 15 kilometres from Seminyak. Although with an excellent team of staff on hand – including a skilled chef – why leave? 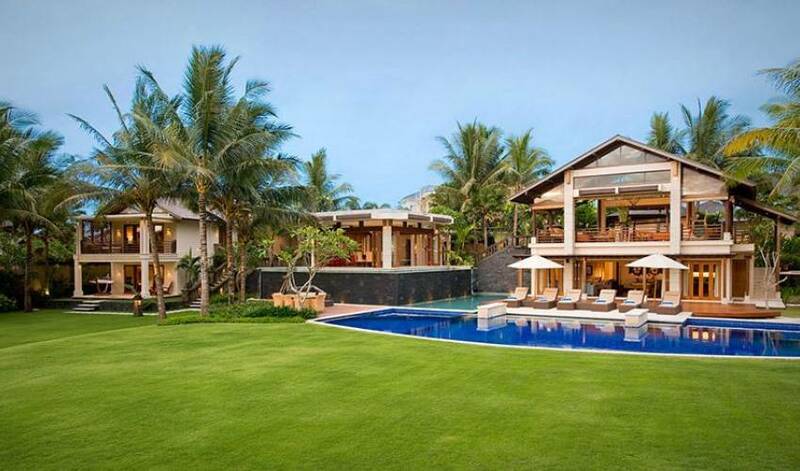 Set upon 5,000 square metres of glorious garden next to Cemagi Beach, the villa more than lives up to its Sanskrit name, which translates as ‘temple of peace’. Beyond the villa’s rolling lawns of Japanese grass, the sacred sea temple Pura Gede Luhur Batungaus rises above the Indian Ocean, an iconic silhouette against the coast’s famed crimson sunsets. Start the day with a gentle stroll along the near-deserted black-sand beach, followed by a hearty breakfast on the living room’s breeze-cooled ocean-view deck. 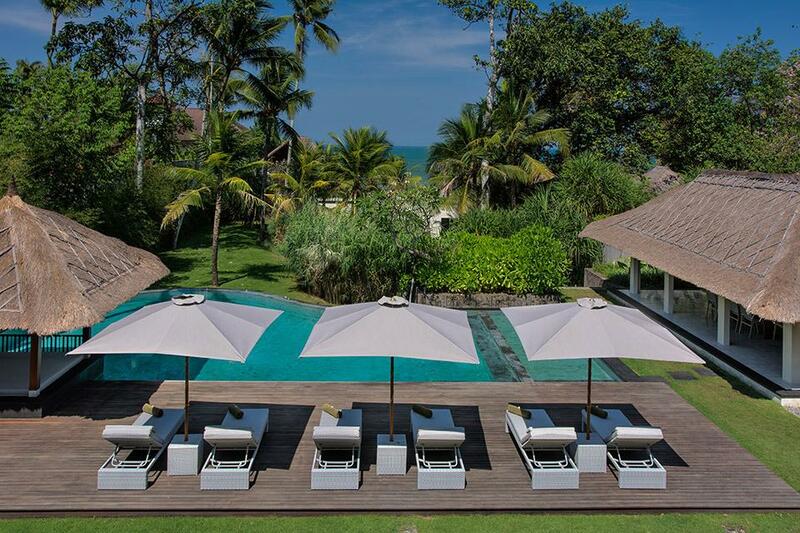 After an energizing game of tennis, laze by the 20-metre pool and let the butler mix you a ‘Semarapura Breeze’ at the poolside bar and lounge. A leisurely lunch prepared by the villa chef and served in the dining pavilion’s air-conditioned cool might be followed by a little siesta or a reviving dip in the master suite’s jacuzzi, then a visit to the spa balé for a restorative massage. Evenings at the villa are equally enchanting: sundowners at the sunset balé; a welcome dance performed by local villagers; a seafood barbecue on the pool terrace to the hum of the bamboo rindik played under a canopy of stars. 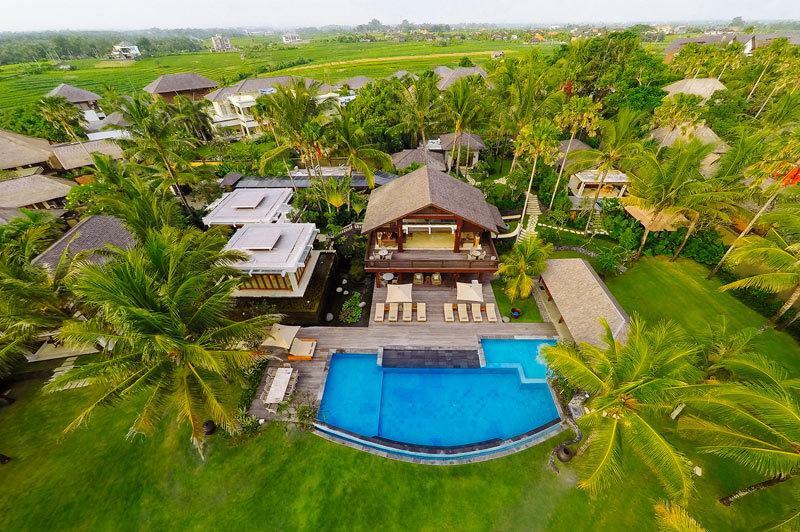 Venturing beyond Semarapura’s grounds, the villa’s insightful attendant leads fascinating tours of the neighbourhood, or why not head to Echo Beach for a surf lesson, or a round of golf at the nearby Greg Norman-designed award-winning Nirwana Bali Golf Course? Exploring further afield for a day’s sight-seeing is easy too, courtesy of the villa’s 16-seat minibus and driver (extra charge). 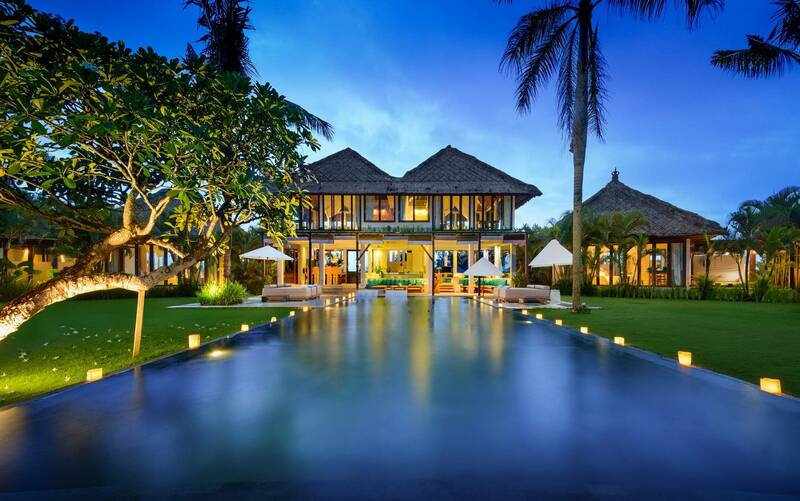 Those seeking boutiques, bars, restaurants and bright lights can head to Seminyak 15km away: the beauty of the villa is that it’s far enough from the hustle of Bali’s most popular spots to forget they exist, yet convenient enough to explore them should the mood take you. 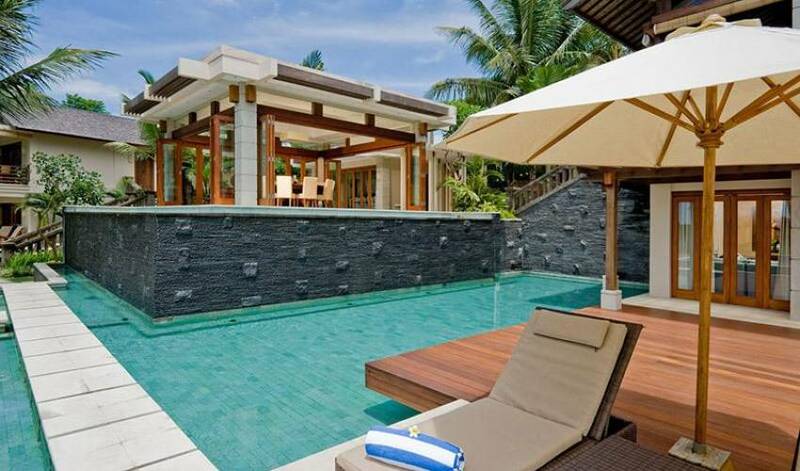 The villa comprises a series of attractive pavilions spread over 5,000 square metres of gardens. 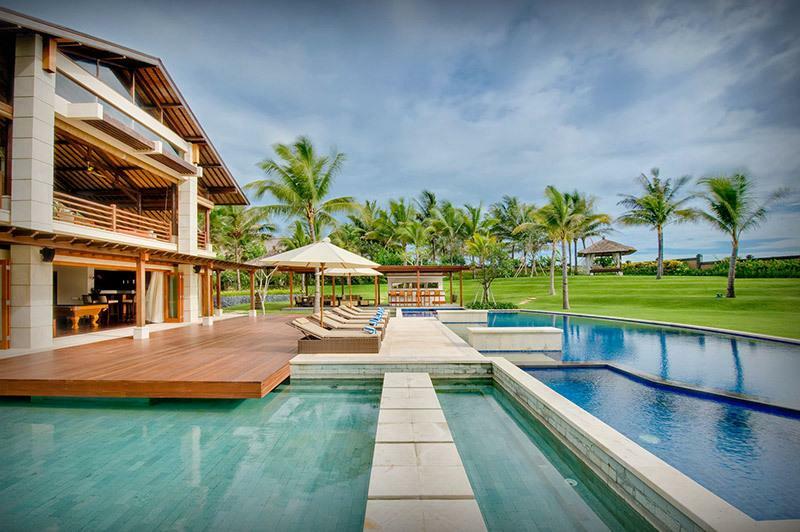 From the villa’s Balinese entrance a covered walkway leads to the upper level of the spectacular ocean-view living pavilion at the heart of the estate. To the side lies the dining pavilion, kitchen and a double-storey building housing two of the villa’s five bedroom suites. Below the living room, a large media room opens onto a sun deck bordering the 20-metre swimming pool, with pool pavilion and bar lounge to the side. 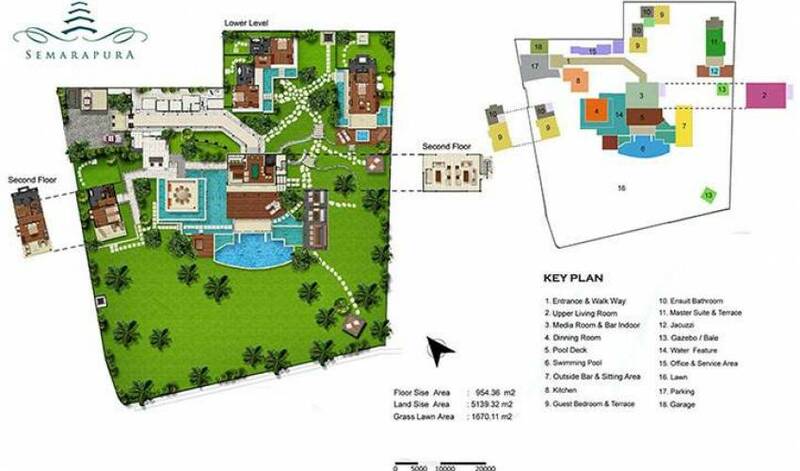 Within its own private garden lies the master bedroom suite, behind which are two more guest bedroom pavilions. Within the gardens are a massage balé and, at the highest point of the estate, a sunset balé overlooking the ocean. 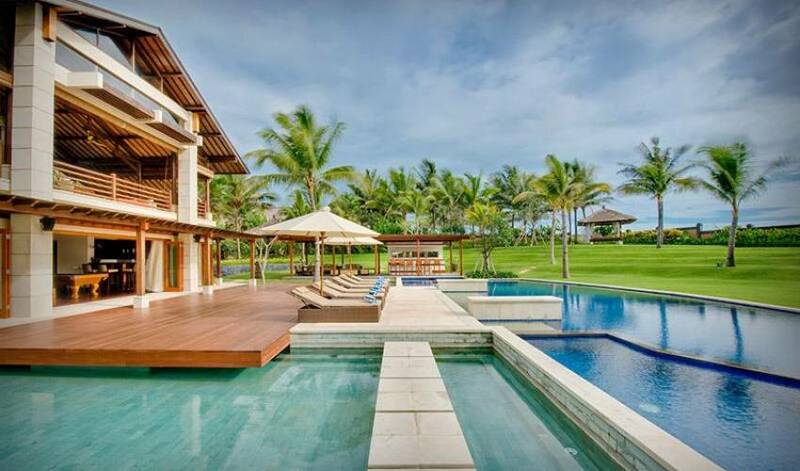 The villa’s open-sided living room on the upper floor of the living pavilion commands stunning ocean vistas and views of Cemagi’s captivating sea temple. This glorious fan-cooled space is designed in the style of a traditional village wantilan, or meeting hall, with a tiered roof soaring high above comfortable seating, Indonesian antiques and objets d’art resting on polished terrazzo floors. An ironwood veranda runs the full length of the living room, providing two further breakfast areas. The villa’s dining room seems to float suspended above the garden, with water-walls on three sides and bi-fold doors that can be opened to catch the evening breeze or closed for air-conditioned comfort. From the circular dining table, which convivially seats 10 guests, spectacular views unfold across the pool and gardens to the ocean. All five spacious air-conditioned bedrooms here feature teak floors, sirap (ironwood) tiled roofs, paddle fans, King Koil mattresses, blackout and sun curtains, and air-conditioned black granite bathrooms. Each suite is equipped with a satellite TV, DVD player and Bose sound dock. Stunning sea views distinguish the two guest bedrooms in the double-storey wing. Ideal for families, the rooms are linked by an internal staircase. The upper bedroom has its own entrance lobby, a second lobby with bar fridge and kettle, and a dressing area fitted with a wall of wardrobes and a trundle bed for two kids. The bedroom, furnished with king-size bed and window seat, opens onto a private sea-view balcony with daybed and breakfast table. The large bathroom is fitted with a bathtub, twin vanities, walk-in rain shower and garden shower. The bedroom below, with twin beds that can convert to a king and a bathroom that mirrors the one above (without the garden shower), opens onto a large terrace. 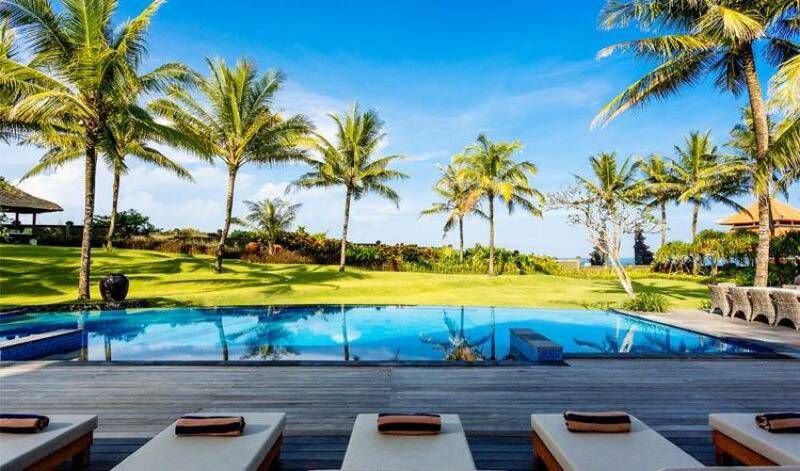 The villa is located on Cemagi Beach, in full view of the sacred sea temple Pura Gede Luhur Batungaus rising from a rocky outcrop pounded by waves rolling in from the Indian Ocean. The beach of black volcanic sand is great for morning jogs and sunset strolls with far-reaching views towards the Bukit Peninsula, but strong currents render it unsuitable for swimming. 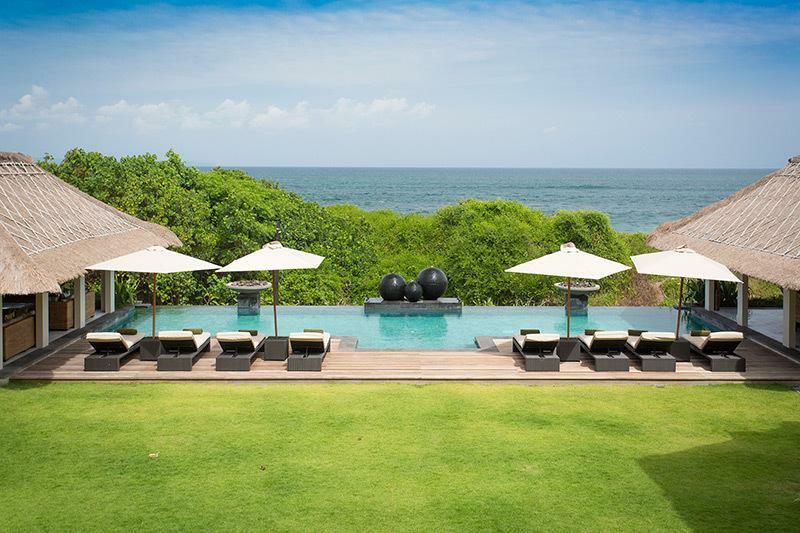 Within walking distance of Villa Semarapura are a handful of other luxury villas while a 20-minute stroll along the beach will bring you to Nganyi beach where there are a couple of local warungs (cafés). A few kilometres away is the pretty village of Cemagi, where guests can experience the traditional Balinese way of life including colourful Hindu ceremonies. 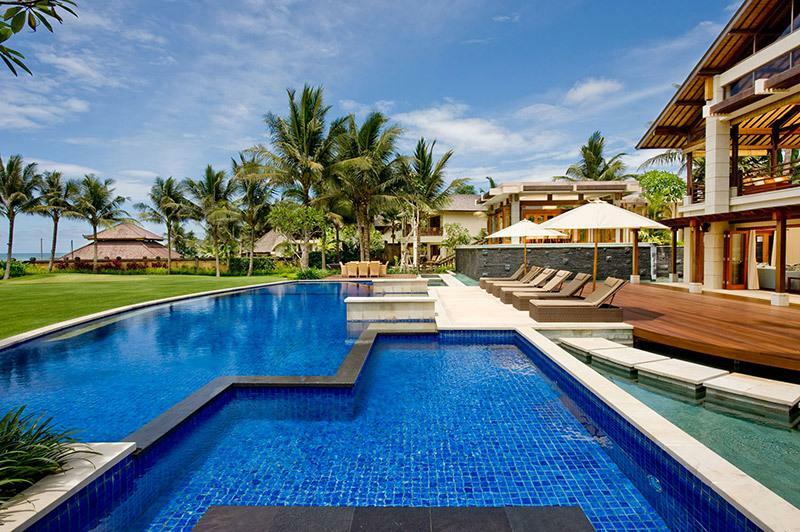 Ten kilometres or so to the south are some of the island’s best surfing beaches (Echo Beach is renowned for its laid-back surfer vibe), while golf enthusiasts can head north to the Nirwana Bali Golf Course at Tanah Lot, one of the best golf courses in Asia. The villa’s 16-seat minibus and driver are available daily for guests who want to explore the island (extra charge applies).